With summer finally here, many people may be planning to return to a much loved holiday destination, or go one step further and consider buying a second home in their holiday hotspot. There are many things to consider before you start surfing the web for the perfect property, as property expert, Donald Watt, knows from his many years working for The Hideaways Club, an award-winning shared property fund and exclusive members’ club. It is best to think with your heart and your head. Generally people who buy holiday homes do so because they have enjoyed several holidays in a favourite area, in which case I’d suggest visiting in the off season. Would you want to go in the winter? Really investigate the operating and maintenance costs the property may incur. At The Hideaways Club our operations team manages the properties year round. When it’s your own home the onus falls on you and for many owners the dream house becomes a burden of ongoing bills and repair costs that can only be off-set by renting out their homes in the summer months, which may defeat the purpose of buying a holiday home in the first place! I’d therefore encourage anyone thinking of buying abroad to consider the reality of these running costs and the difficulty of managing issues when you are not there in person and perhaps don’t speak the language. If you’ve considered all the options and are ready to buy abroad, then ideally you should view as many properties as possible, working with local agents who know the area. Ask for photos, maps and floor-plans ahead of viewing, so you know if something is definitely not worth your time. Don’t worry if you end up seeing some houses that aren’t going to work for you, as this will help an agent understand exactly what you are looking for and they can continue the search once you go home. That way, as soon as the right house comes up they’ll know it might be the one for you. Wherever possible research prices that comparable properties have sold for, or look at those that are for sale nearby. Property search websites will give you a good idea of how things are priced. You can ask an agent how long a property has been on the market, why the owner is selling and whether they have had any offers. If offers were made, then were these turned down, or did the owner accept and the sale fell through? If so, why did it fall through? The more you can find out, the better position you’ll be in when making an offer. When considering a particular property you should think about the house itself: its appeal, facilities, size and condition, as well as the beauty and attractions of the surrounding area and the range of amenities nearby. As a general rule look for properties no more than 1.5 hours from an international airport and with shops and restaurants no more than a 10 minutes’ drive away. Privacy and attractive views make the perfect plot. Beware of empty building plots, or ‘land for sale’ signs nearby: you might end up with a building site next door. Ask who owns local land; perhaps you could consider buying a neighbouring plot to protect your view and privacy? Some countries have building restrictions throughout the summer to prevent noisy works carrying on all day. If a house has amazing views and a fantastic location, yet lacks aesthetically, then you could consider undertaking significant improvements to create your ideal property. 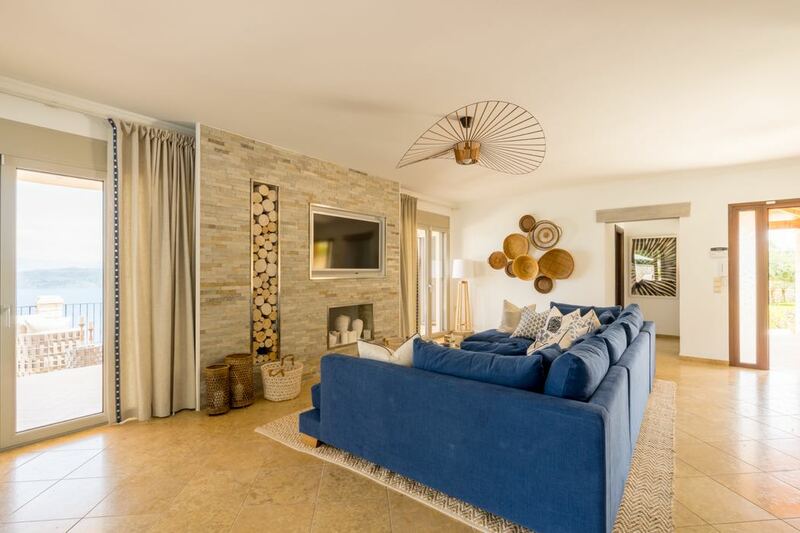 For example our new villa in Corfu had the right layout and an amazing location on a hillside with views over the coast, but the finish wasn’t up to The Hideaways Club standards, so we’ve just completed an extensive renovation programme working with interior designer company, Cocovara. We’ve gone for a Greek inspired theme featuring lots of blues and olive greens against earthy and white backgrounds, with gold accents giving a touch of luxury and sophistication. In terms of building work, I recommend using a local builder if they’ve been recommended and you can see examples of their work. At The Hideaways Club, for large projects we often use a reliable UK building team that we have previously worked with. Try to be on site as much as possible and follow up every conversation with an email to confirm what has been agreed. It’s inevitable that you’ll change your mind as you decide what will work best and once you see the cost implication of your choices. Follow up in writing and asking for a pricing of all the works every week and this will help you keep on top of the project. I’ve learnt that hard floors are definitely most practical as they stay cool in the summer and are wipe clean for ice cream spills. It’s a good idea to try and buy as many furnishings locally as possible to save on transport costs, so long as quality isn’t compromised. However, many islands import furniture from the mainland into their stores and therefore have very long lead times, in which case you might be better off shipping your own choices. At The Hideaways Club we always finish the properties with some local paintings and objects d’art for a personal, authentically local feel. Finding and buying the perfect holiday home can be a daunting, time-consuming task, with high capital outlay. 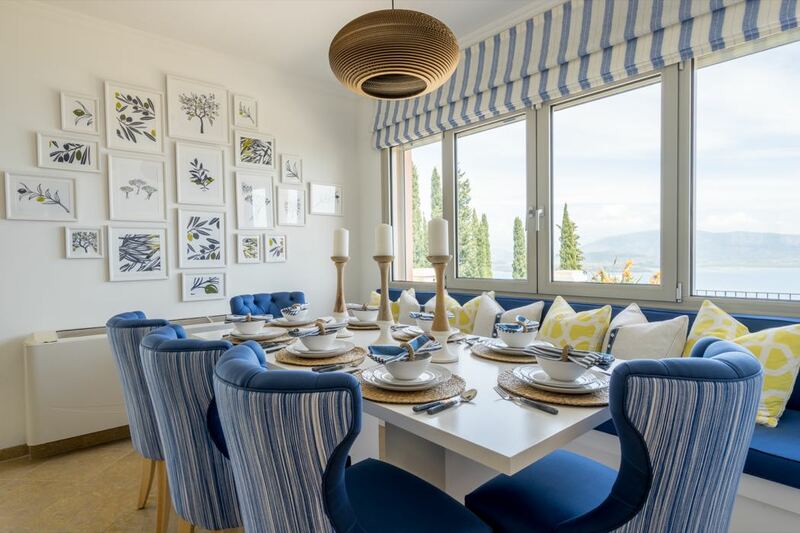 Prospective buyers might like to consider The Hideaways Club as an alternative, as it offers luxury holiday home ownership with lower capital expenditure – Lifestyle Associate Membership of the Club’s Classic Collection starts at £88,000. Members invest in a portfolio of exquisite homes in fantastic locations and join an exclusive lifestyle and destination club giving them the flexibility to holiday in luxury around the world, while The Hideaways Club team take care of all the upkeep. The Hideaways Club’s Classic Collection currently offers 40 properties around the world, typically sleeping 8-10 guests, ranging from Tuscan farmhouses to ski chalets and tropical villas, with access to a further portfolio of 200 luxury villas through reciprocal agreements with other destination clubs. 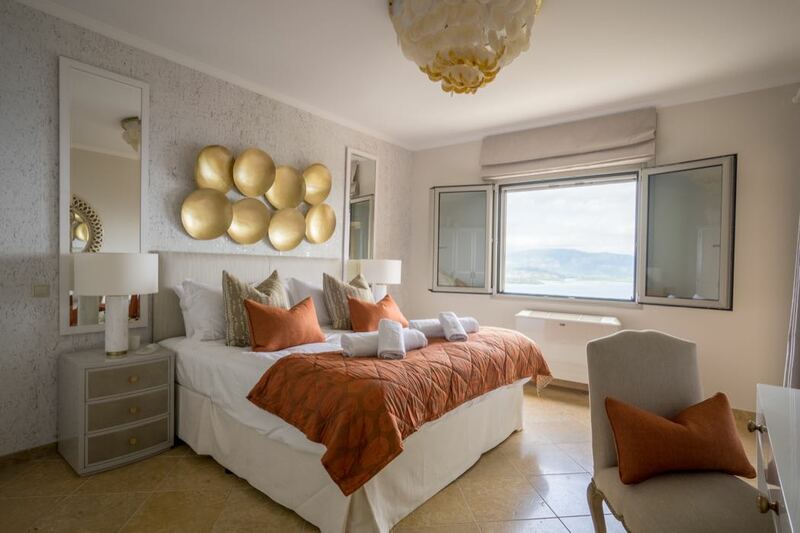 Membership is backed up by a first class concierge service to take care of all property management and maintenance and to help organise transfers, holiday itineraries, dinner reservations and sightseeing. 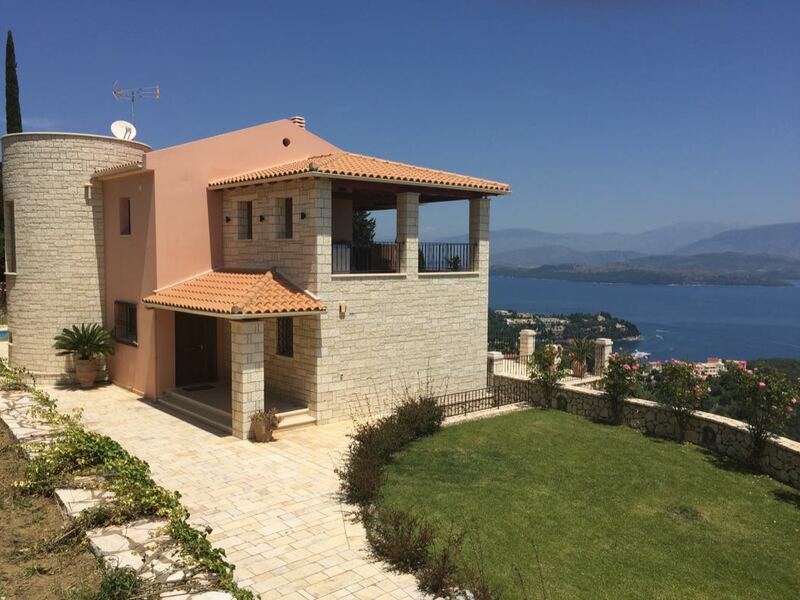 The Hideaways Club’s latest acquisition is Kentroma House, a four bedroom hillside villa on the north east coast of Corfu, with spectacular views over Agni Bay. It has a wonderful secluded setting, in a perfect hideaway location, yet is just a 10 minute drive from the popular town of Kalami with its beaches, restaurants and shops. Corfu airport is just a 45 minute drive from the villa. Kentroma House sleeps eight in four bedrooms. 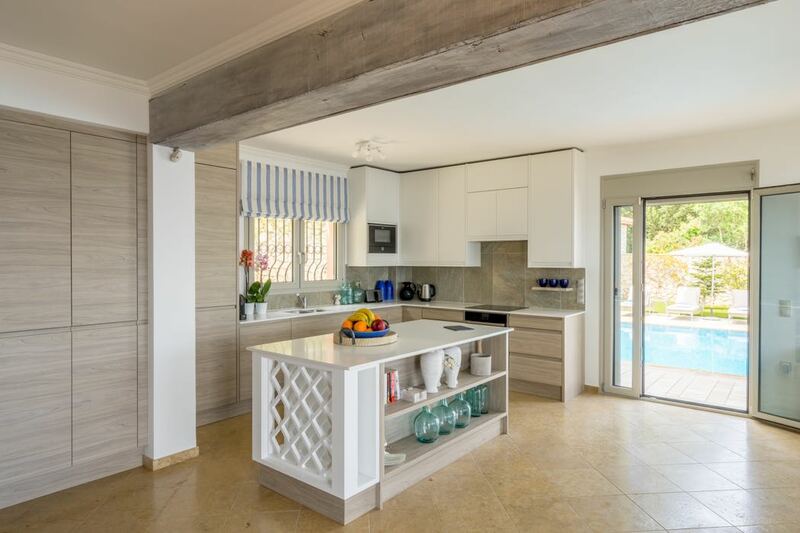 It has three bathrooms, an open plan kitchen, dining and living area and air conditioning throughout. 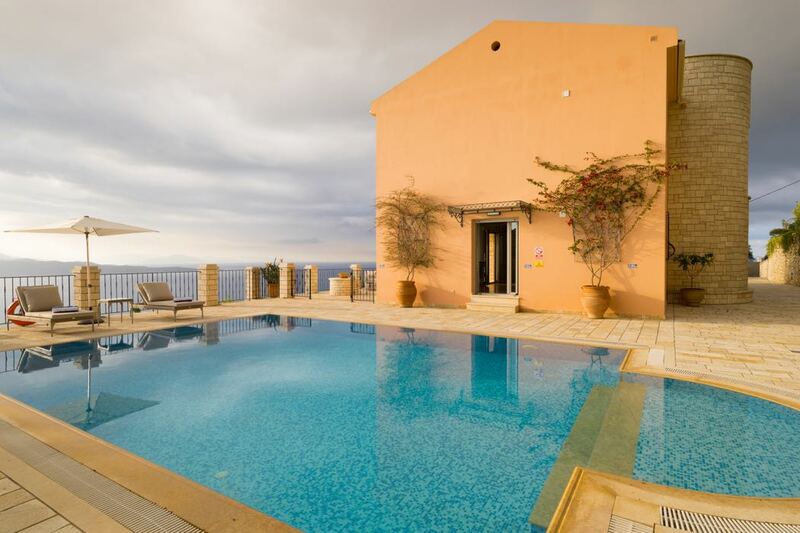 A highlight of the property is its wonderful heated outdoor pool and seating area, with spectacular views over the bay below. There are a variety of different outdoor areas, including an upstairs sunset sofa, balcony armchairs, hanging chairs, plus sun loungers and umbrellas by the pool. The Hideaways Club continues to add extremely desirable properties to its portfolio, all worth more than £1.2 million, with the aim of owning a total of 100 homes across the globe in the Classic Collection and 100 in its City Collection.